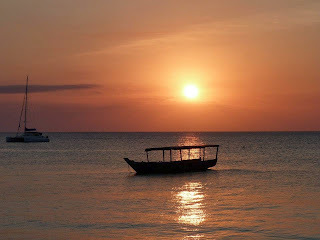 From the snow capped peak of Kilimanjaro to the endless plains of the Serengeti, from the sun -kissed island of the Zanzibar Archipelago to the gentle shores of Lake Victoria, the country contains immense cultural and natural wealth. It was here, on the dusty floor of Olduvai Gorge, that early man left his first footprints. It was here, on palm fringed Zanzibar, that Swahili traders welcomed dhows and trading boats across the Indian Ocean. For Millennia, Tanzania played an essential part in the life of the African continent. The great wilderness migration alone comprises of the largest movement of land animals on the planet. With over 25% of the country’s total land mass dedicated to the preservation of Africa’s great wilderness and credible range of animal species. The Republic of Tanzania is one of Africa’s most peaceful countries. Home to a flourishing democracy and prospering economy, the country is known for its peace and security. A well maintained infrastructure and three international airports connect its bustling commercial centers and ensure easy transportation, whether by air or by road. Tanzania’s people are a diverse mix of traditional tribes, village farmers and cosmopolitan professionals united by a common language, Swahili and a strong sense of national community. Serengeti National Park is undoubtedly the most famous of the country’s national parks, the annual wildebeest migration attracting thousands of visitors each year. For sheer African magic, the Ngorongoro Crater – often called the 8th Natural wonder of the world – is a must see. Tarangire and Lake Manyara National Parks also reward the discerning traveler. The magic of the safari isn’t all this great country has to offer, Tropical beaches, coral reefs and Swahili culture along the Indian ocean coast are also a main attraction for visitors who want to end their experience of the African bush with some well – earned relaxation, Zanzibar style. For the more intrepid adventures, a climb to the rooftop of Africa, Mt. Kilimanjaro, is the highlight of a safari itinerary. Longer treks through the Ngorongoro Conservation Area, through the magical Gol mountains or up the active volcano or Ol Donyo Lengai, are a fantastic way to experience little-visited parts of the country in a new way.